A Library Book Club choice and a good one too. Federal Police, Aaron Falk and his offsider Carmen, are investigating a company fraud when their informant, Alice, who works for the company goes missing with four other employees on a team building exercise. The setting is dense forest in the Giralang Ranges in Victoria. The women lose their way and after a harrowing time only four of them emerge. What has happened? This is a real page-turner. Jane Harper has complete control of the narrative throughout and she maintains the suspense while creating a cast of well-drawn and interesting characters. 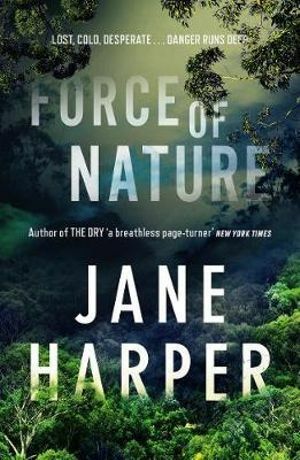 This entry was posted in Australian Authors, Book Club Kits, Book Reviews, eLibrary, Fiction, Mystery & Crime, Recommended Reading, Staff Favourites and tagged Book Club Kit, book review, force of nature, Jane Harper by Jody. Bookmark the permalink.